Here's beautiful Kim Kardashian surrounded by a cool (meaning more purpley than peachy) pink. Notice that it seems to come from a different color family than her skin. Kim's skin is on the peachier side. Here's Kim again in a lovely warm red against a dark grey background. That combination is very Dark Autumn and it looks more like her natural color habitat. Dark Autumns can wear black, or at least brown-black. And the makeup here isn't bad, though the lip may be more True Autumn. But Dark Autumns need some contrast in their look. For a darker-skinned Dark Autumn, black isn't a dramatic color; the effect is closer to monochromatic. 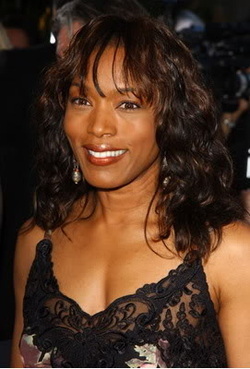 Here, lovely Angela Bassett is just ho-hum. Not only is the lip better, but the just-slightly-off-white gown creates breathtaking contrast. (The gown may read as pure white to your eye, but that's because of the contrast with Angela's skin.) In this look, the skin is more even, and we really notice Angela's beautiful dark hair. 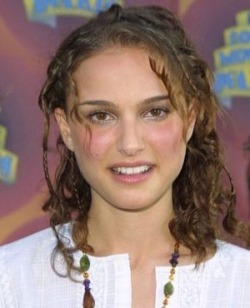 I admit there are a lot of unfortunate things happening in this pic of Natalie Portman. So it's a little unfair. But ignore the hair for the moment and just notice how the Summer colors on her face and in the background suppress the power of her beautiful, deep coloring. Here, her natural colors are brought to life. The lip is darker and warmer, the hair is darker, the gown is one of Dark Autumn's warm purples. Natalie looks powerful, intense, and truly alive. It almost makes you wonder if there's something wrong with the exposure of the photograph - that's how wrong Julia Roberts looks here. You can only see her true Deep Autumn beauty in the sparkling brown eyes. They're crying out, "Set us free from this prison of washed-out color!" So much better. Smoldering. The eyes rightly take center stage. The skin glows. You're like, "Who is this woman?" - right? The red could have been ok on its own. The rather ash-toned hair could have been ok on its own. But the peculiar silvery-bluish-greyish highlight around the eye area and the cool earrings make the whole face look just plain weird. Warmer hair, warmer lip. Eva Longoria looks ovely and natural. 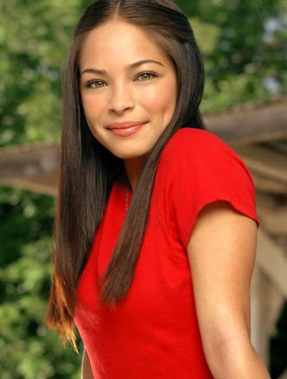 Notice how Kristen Kreuk's face looks unhealthily greyed in this cool, muted top and cool, muted lip. Summery clothes and makeup tend to zombify the Dark Autumn. The warm red of the top, the warm green of the background, and the Dark Autumn makeup colors allow Kristen's natural beauty to emerge. 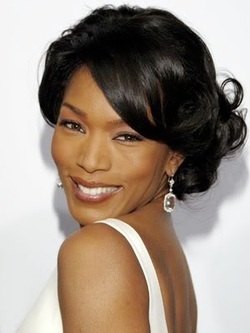 As in the picture of Angela Bassett above, Kristen's hair color seems richer too.